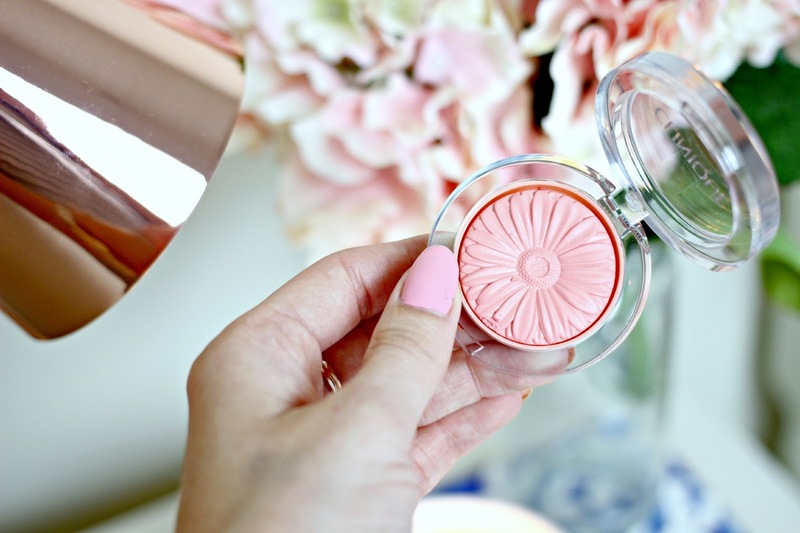 I may have just discovered the cutest blusher, ever! Literally the cutest little thing, and I’m happy to say that the quality of these adorable Cheek Pop blushers from Clinique lives up to their super cute packaging. Described by Clinique as vibrant yet natural looking cheek colours, these little pots of flowery fabulousness deliver a subtle hint of colour to cheeks with an unusual formula which is somewhere in the middle of a cream, powder and maybe even mousse blush. The beauty of the flower design meant that I almost didn’t want to use them for a while, I love the feeling of when you use a product for the first time but I just didn’t want to dislodge their beauty. But, that feeling didn’t last long as I couldn’t hold myself back from tucking in. I have to say they are really unusual, not like the formula of any blusher I’ve ever tried before, they take quite a lot of brush swirling to pick up a decent ammount of product, and on the cheeks they give the glow of a cream blush, but the ease of application that you get from a powder. The subtle pop of colour from the first application can easily be built up, or kept really natural looking, and the great thing is that the lovely vibrant colour doesn’t fade away throughout the day. Overall I think these blushers are seriously incredible, if you’re in the blush market right now then you absolutely MUST try these. They’re available in 8 shades at £17.00 each, available online and in most beauty concessions! Have you tried the Clinique Cheek Pop Blushers? Previous Post June Beauty & Fashion Favourites!